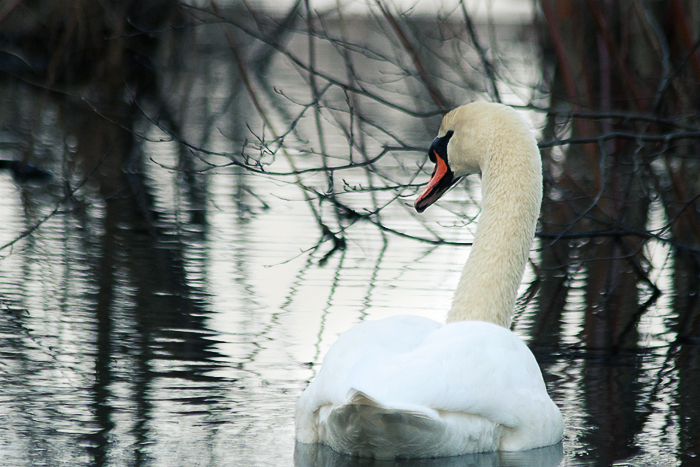 For several weeks I saw this swan every day as I was walking my dog; always alone in a corner of the lake, right next to the road. He wasn’t particularly afraid of people, or not bothered by them, sometimes he’d stop whatever he was doing (fishing for food from the water mostly) and look at you as you were walking past. This week however I haven’t seen him not even once. I hope he’s found a mate and is somewhere on the other side of the lake where no-one can bother them.